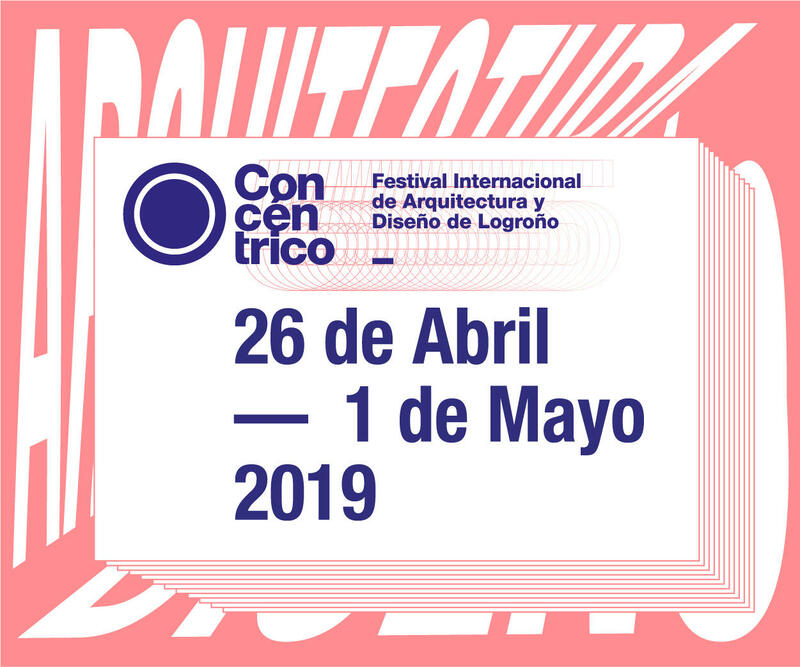 Get Ready for Concéntrico 05, the International Festival of Architecture and Design of Logroño – a city in northern Spain, on the Ebro River, capital of the province of La Rioja – that invites us to reflect on the urban and city spheres. The new edition is held from April 26 to May 1, 2019. 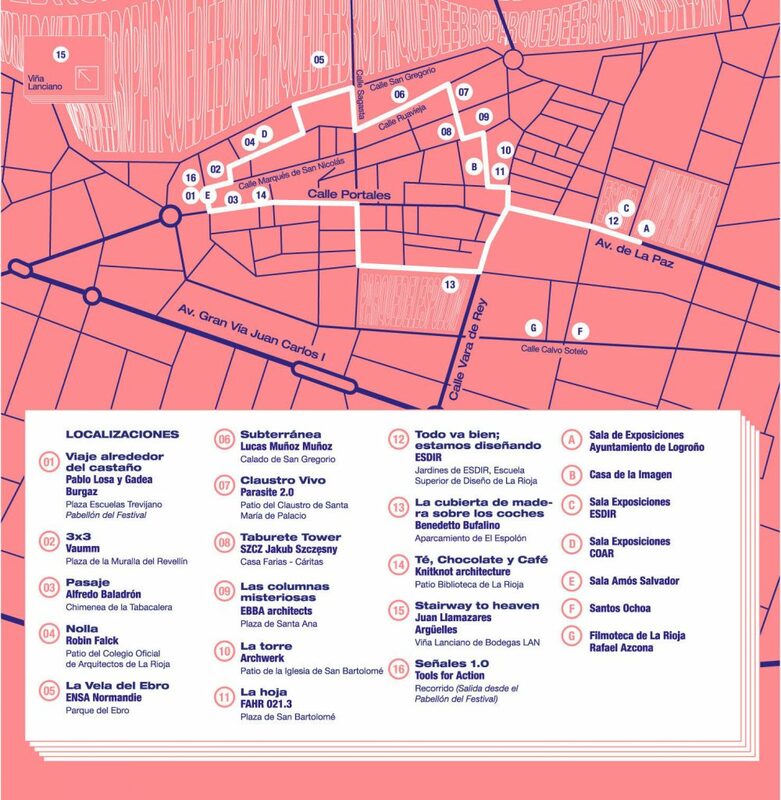 The Festival invites you to tour the city through facilities, exhibitions, meetings, activities and performances that create a connection between venues, squares, streets, courtyards and hidden spaces that usually go unnoticed in our day-to-day. 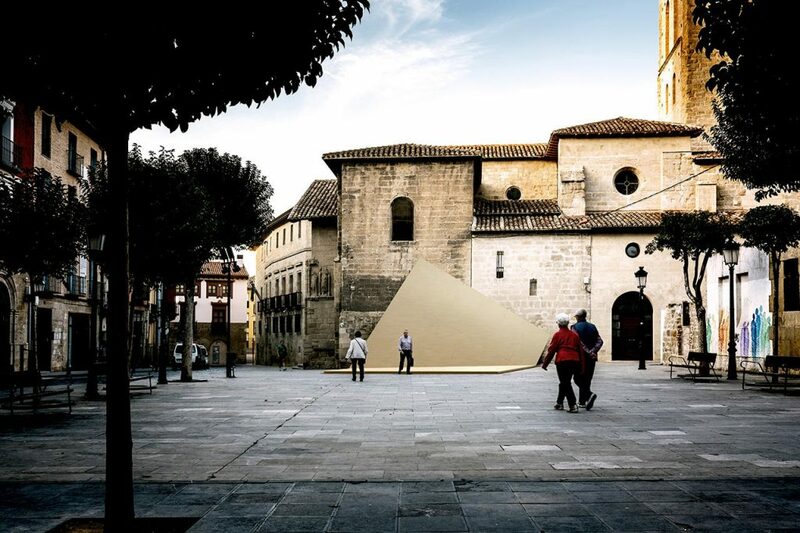 Since 2015, Concéntrico has been organised by the COAR – La Rioja Cultural Foundation of Architects and Javier Peña Ibáñez, creator of the initiative, in collaboration with the City of Logroño and the La Rioja Government Centre of Design. Garnica, Bodegas LAN, Métropole de Rouen Normandie and Acción Cultural Española are the main partners. 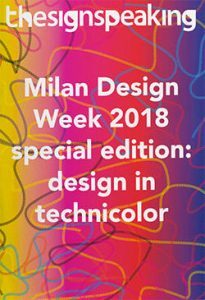 In its four editions, the festival has gathered 43 urban facilities created by teams of national and international architects and designers who are experimenting with new fields of environmental design. In this way, a dialogue is established between the city’s heritage and contemporary architecture that invites the citizens to reflect on these spaces. 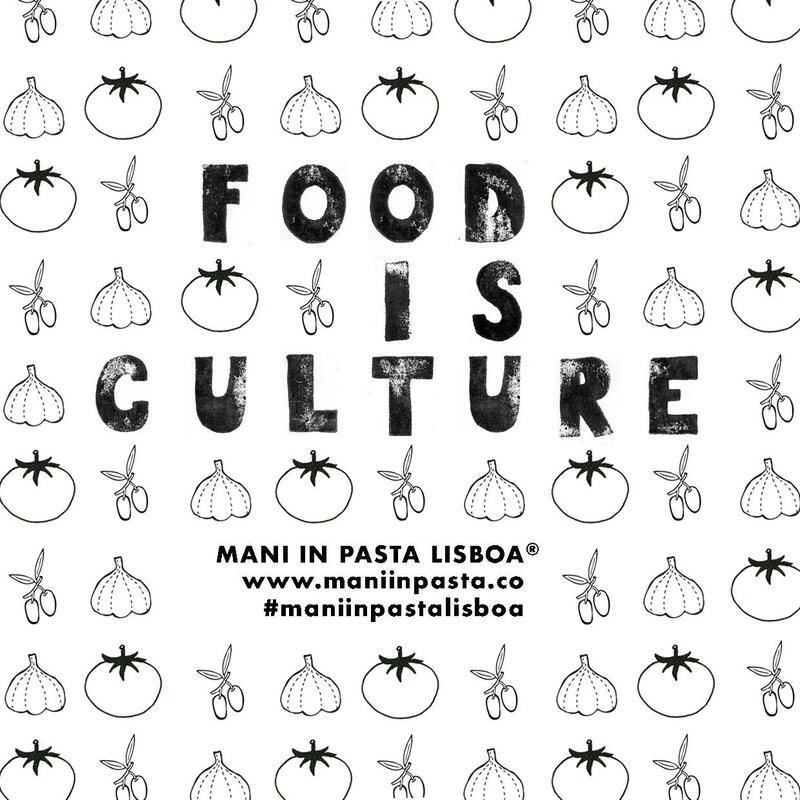 Studios such as Picado de Blas (Madrid), MAIO (Barcelona), Branco Del Rio ( Coimbra), Boamistura (Madrid), Guillermo Santomà (Barcelona), Fernando Abellanas (Valencia), Plastique Fantastique (Berlin), Jorge Penadés (Malaga), David Bestué (Barcelona), Mjölk (Prague), TAKK, (Barcelona) have made interventions in previous editions of the festival. This year more than 16 urban installations and performances will be carried out at the festival. Concéntrico encourages the exchange of Spanish architecture with the reality of other countries through the “Encuentros” in collaboration with Acción Cultural Española. One of the main novelties of this year’s edition is the collaboration agreement with the Métropole de Rouen Normandie (France) and the monumental art biennial, La Forêt Monumentale. 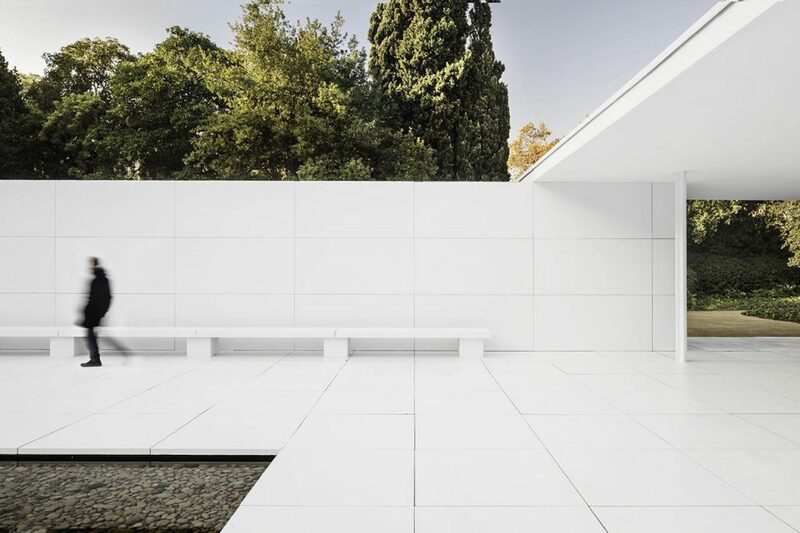 The exhibitions have broadened the focus to new international contexts, such as the exhibition of “Reflection Pavilion” of the Mies van der Rohe Foundation on the interventions that have been carried out in the Barcelona Pavilion, which we will see in the City Council’s exhibition hall in Logroño; “the Architecture of the 7th Day” which is about the movement of social and collective construction in Poland; the exhibition of Concentric Contests in COAR or the associated exhibition (Super) Experiences in Sala Amos Salvador. 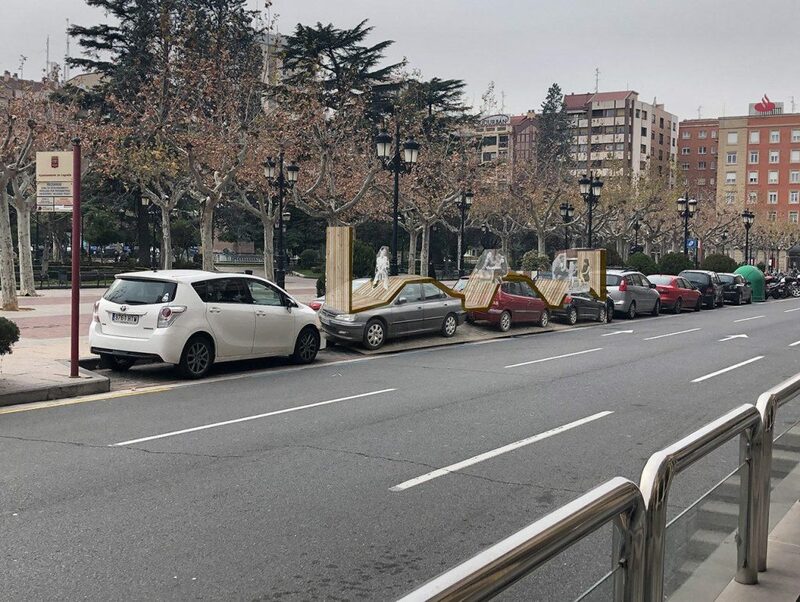 The Wooden Deck – Over the Cars by Benedetto Bufalino from Paris at Parking El Espolón is a wooden terrace built directly on 3 vehicles on the street. In this atypical terrace, passers-by will be able to sit down, discuss, debate and imagine a new world. 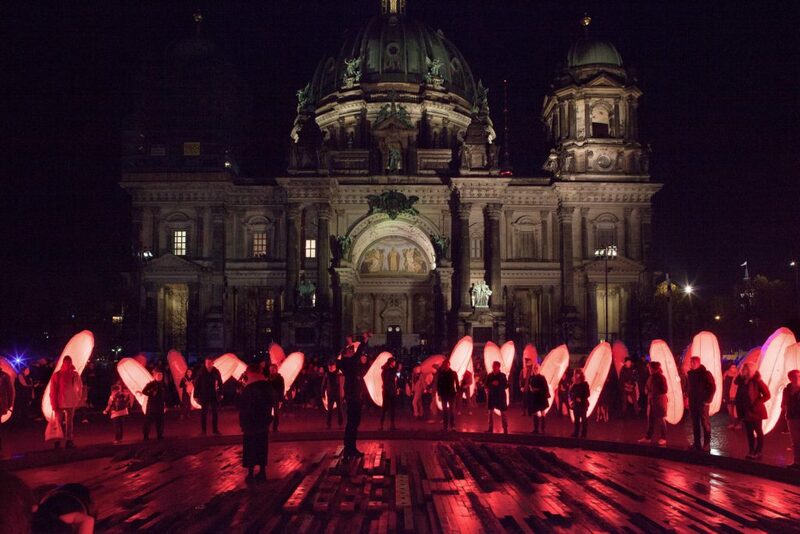 The nocturnal performances Signals 1.0 by Tools for Action from Berlin through signals invites everyone to take part in a collective experiment, to use the act of walking to experience the city and to revisit its memories. Places do not disappear, they reappear through our memories. 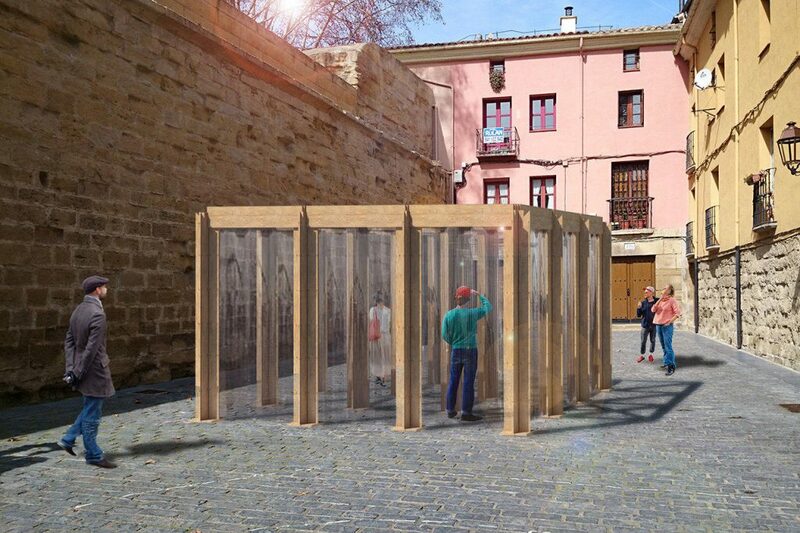 3×3 by Vaumm in Plaza del Revellín is a piece closed, compact and rigorous in its form but on the contrary, it is porous and transparent. So it plays with the perception of the one that explores it. The sound installation Underground by Lucas Muñoz at Calado de San Gregorio invites the visitor to imagine a moment of what could have been witness, the birth of urban culture, the skate culture. Living Cloister in Patio of Palacio Cloister is the project signed by Parasite 2.0 alias the Italian designers Stefano Colombo, Eugenio Cosentino and Luca Marullo, based between Milan and Brussels. Sponsored by l’Istituto Italiano di Cultura di Madrid it reflects on the symbolic element of the column. Seven animal-morphic structures complete the colonnade that seems it lost a part in the years. They fiercely stand into the courtyard, thus making everyone aware of their presence. The work wants to be a gravestone of what we forgot or the incipit of what we haven’t discovered yet. 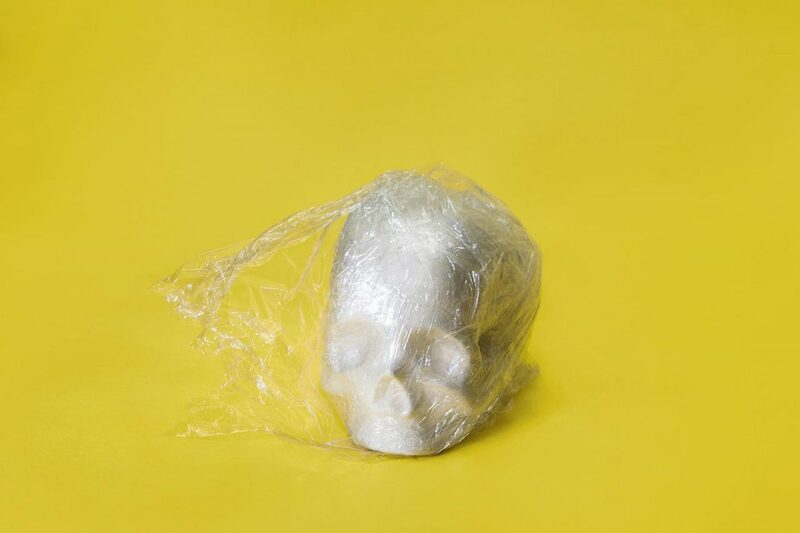 Until May 19th the exhibition I´m Plastic Design by ESDIR professors, about design and possibilities of a strategic material: plastic. Plastics have become so popular and adaptable that decades later they are the root of the global problem of billions of tons of plastic waste on our planet. Now science and design are seeking solutions. From the ESDIR we will try to make an attractive exhibition of ideas and approaches where the variety of disciplines and subjects that are taught in the School generate interesting reflections and research proposals around plastic.